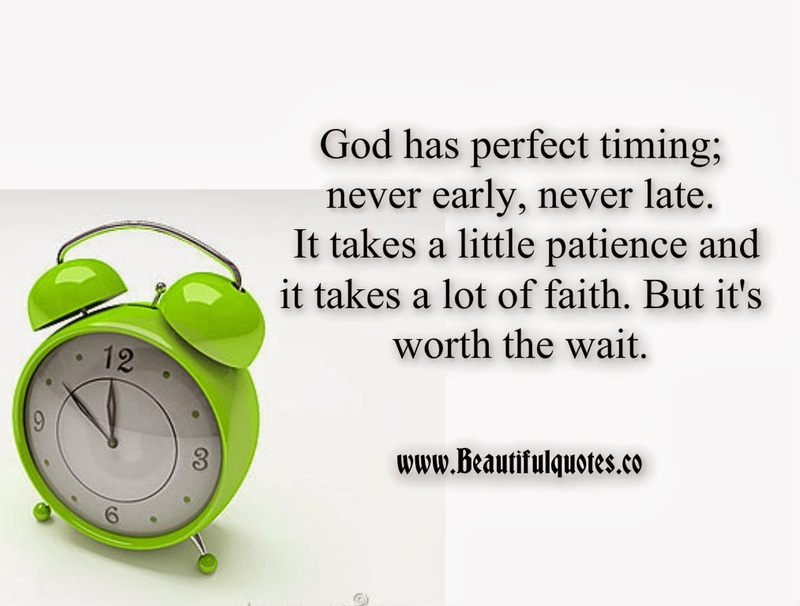 God has perfect timing; never early, never late. It takes a little patience and it takes a lot of faith. But it's worth the wait.